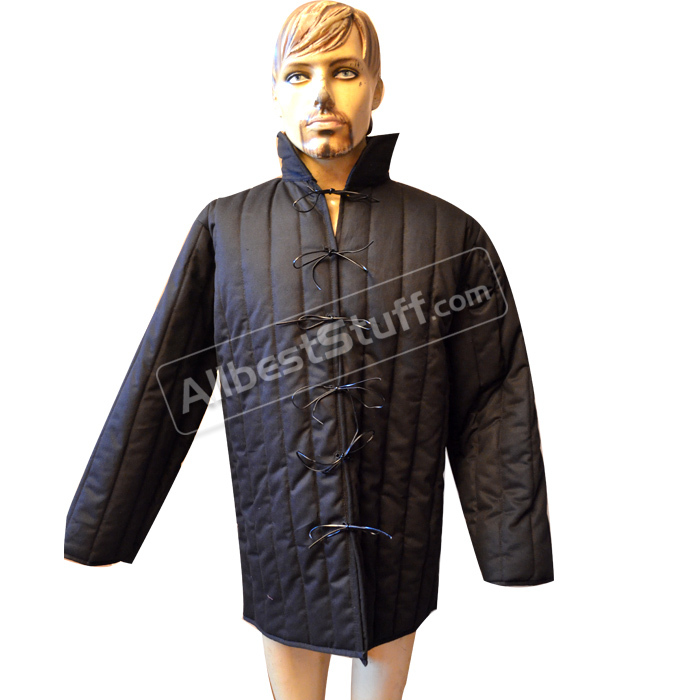 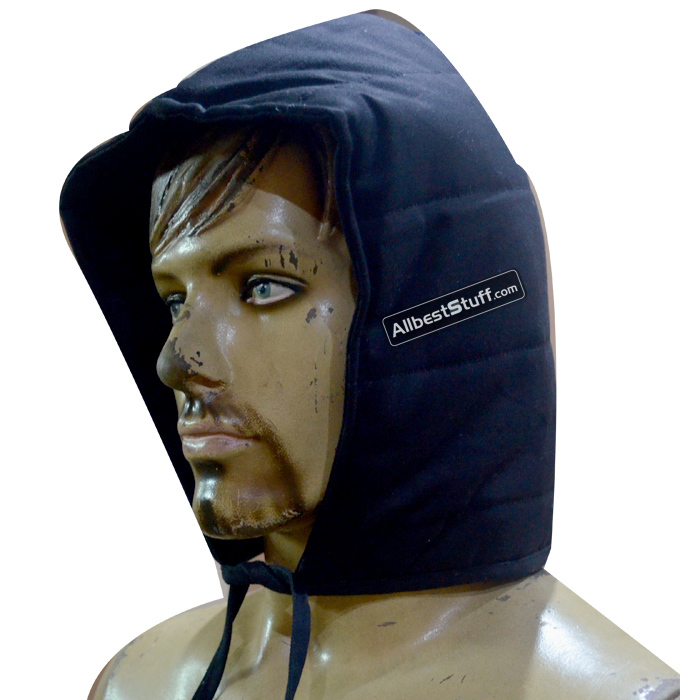 Black Color Padded Cotton Gambeson. 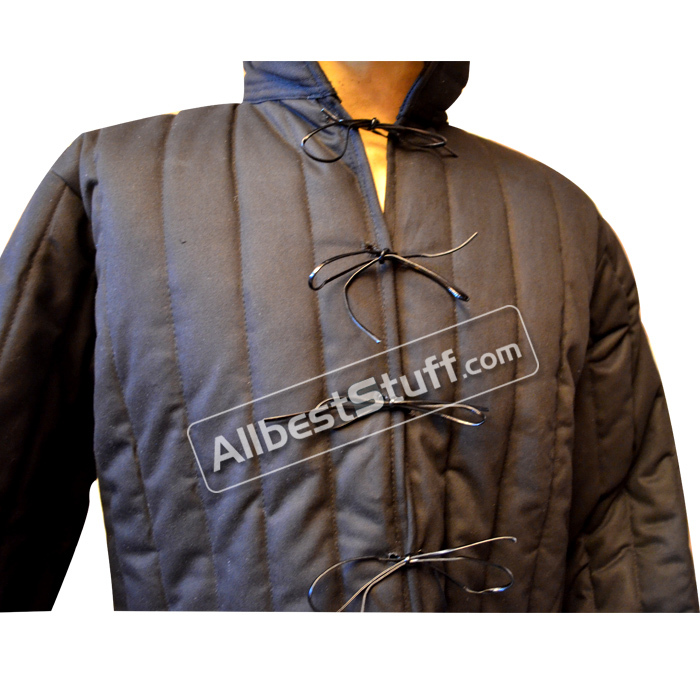 This is a very nice cotton padded gambeson for your chain mail or plate armor. 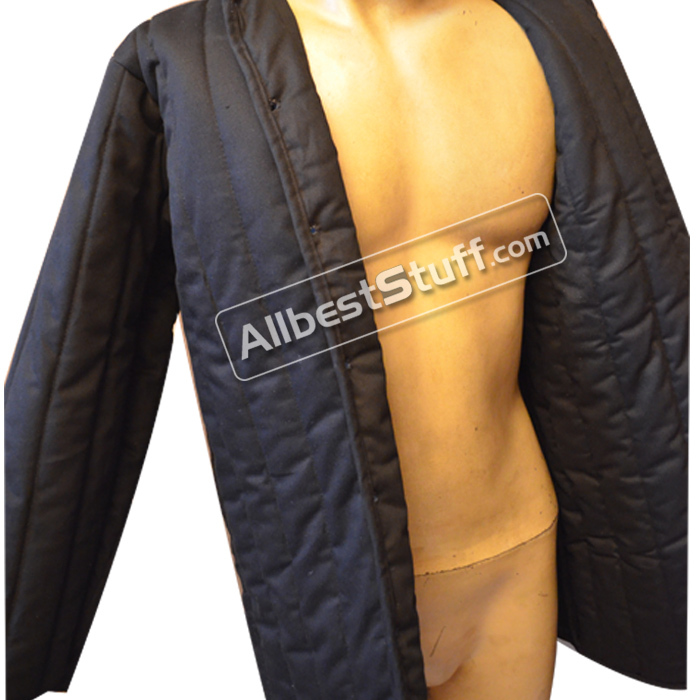 Two layers of cotton stitched to provide protection from hard blows.